23 roses - there is no meaning, but No. 23 could be important for you today. 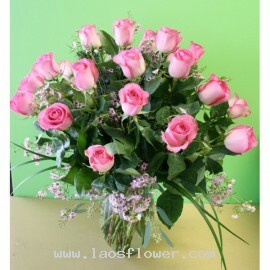 23 pink roses arrange in a clear glass vase and tied with a ribbon. The color of roses can be changed as you like. Occasionally, substitutions may be necessary to create your bouquet due to the availability of certain flowers in various parts of the country. 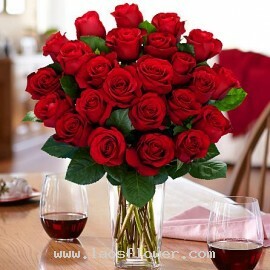 Substitutions may be necessary to ensu..
23 red roses arranged in a clear glass vase. We will add a beautiful ribbon on the vase. The color of the roses can be changed. Occasionally, substitutions may be necessary to create your bouquet due to the availability of certain flowers in various parts of the country. Substitutions may be nece..
A bouquet of 23 red roses, we use large long-stemmed roses arrange in round shape. Wrapped with mesh and ribbon. The colors of roses can be changed as you like. Occasionally, substitutions may be necessary to create your bouquet due to the availability of certain flowers in various parts of the c..